CivilizationNear Eastern-Elamite, 1400 B.C.E. - 1000 B.C.E. 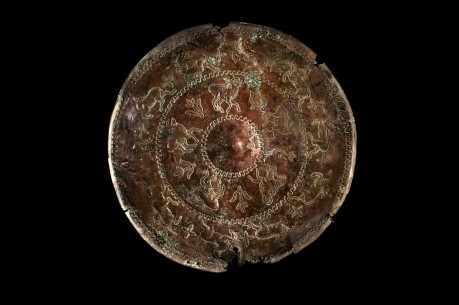 This Near Eastern bronze shield centerpiece, or umbo, would have been set within the center of a shield to deflect blows from an attacker. 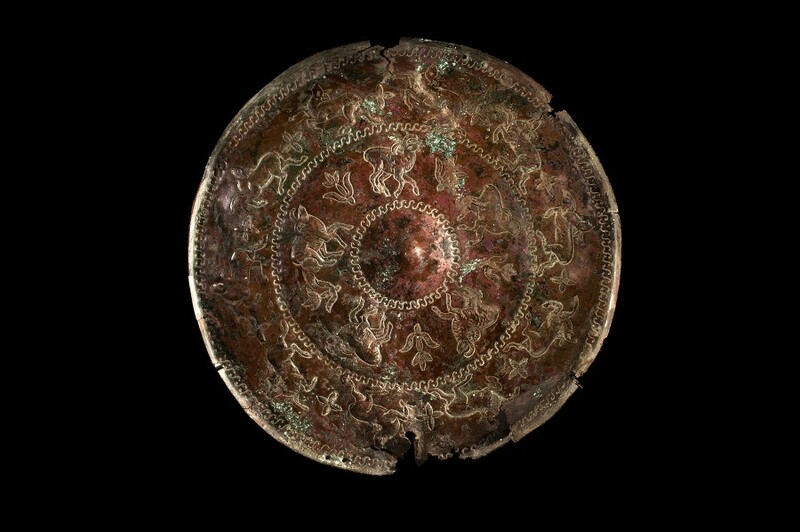 The sheer amount of detail and craft that went into this umbo points to its use as a decoration for a shield that may not have been used in combat. 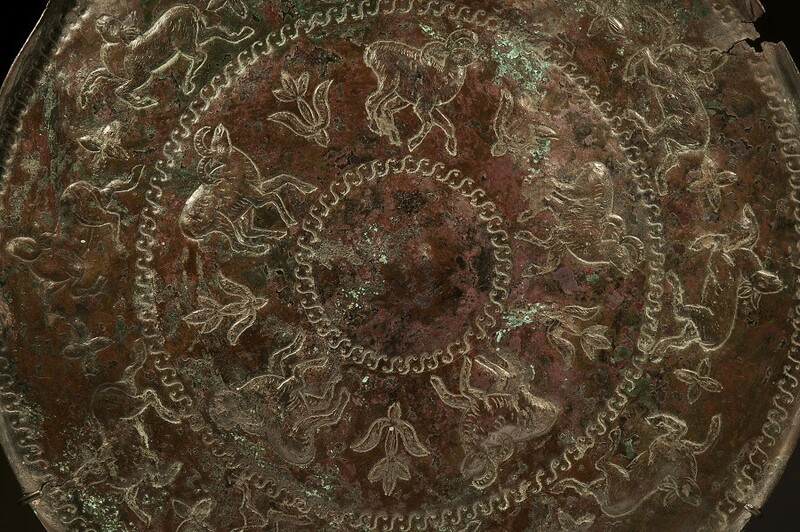 A ring of ewes surrounds a smaller circle of rams, interspersed with a botanical form that offsets the animals with an earthly beauty.